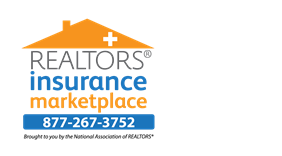 REALTORS® Vision Insurance plans are designed and priced exclusively for members of the NATIONAL ASSOCIATION OF REALTORS® and their families. Plans provide coverage for exams, frames, lenses, and other eye health expenses. There are two plans to choose from, each with their own unique benefits. Disclaimer: The percentage of savings is based on plan utilization; the cost of coverage is separate as it can vary based on the number of dependents. PREMIER PPO VISION PLAN – Best Value! Enjoy exclusive member benefits on annual eye exams, frames, lenses, and contact lenses. EyeMed Select Network: This plan has a preferred Network: EyeMed Select. Using in-network eye care professionals can save on your out-of-pocket costs. The EyeMed Select Network includes 42,000+ providers at over 19,000 locations nationwide, including LensCrafters, Pearle Vision, Target Optical, Sears Optical, and JCPenney Optical. Freedom of Choice: This is a Non-PPO Plan: with the Freedom Vision plan you can visit any eye care professional of your choice. How It Works: You pay your eye-care provider at time of service, and then submit a claim form and receipt to Ameritas Group, underwriter of REALTORS® Vision Insurance, for reimbursement. You are able to use coupons, promotional discounts and negotiated prices with this plan. Enjoy an additional discount of 15% off eyewear frames and lenses purchased at any Walmart Vision Center nationwide. 1.Example includes premium anti-reflective coating, polycarbonate lens, UV protection on front side. Actual options vary by prescription and preferences. Savings based on retail costs of $159 for the exam, $199 for the frame, and $337 for the lenses and options for a total of $695. Member out-of-pocket costs include a $10 exam copay, $55 for frame out-of-pocket and $136 for lenses and lens options out-of-pocket costs. The total savings with REALTORS® Vision is $494, which is 71% of the $695 total retail cost without vision benefits.